Spraying a plant hormone on broccoli — already one of the planet’s most nutritious foods — boosts its cancer-fighting potential, and researchers say they have new insights on how that works. They published their findings, which could help scientists build an even better, more healthful broccoli, in ACS’Journal of Agricultural & Food Chemistry. John Juvik and colleagues explain that diet is one of the most important factors influencing a person’s chances of developing cancer. One of the most helpful food families includes cruciferous vegetables, such as broccoli, kale and cabbage. In fact, eating broccoli regularly has been linked to lower rates of prostate, colon, breast, lung and skin cancers. 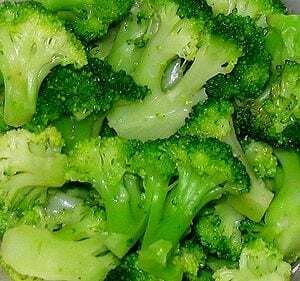 In that super food, glucosinolates (GSs) and the substances that are left when GSs are broken down can boost the levels of a broccoli enzyme that helps rid the body of carcinogens. One way to increase GSs is to spray a plant hormone called methyl jasmonate on broccoli. This natural hormone protects the plants against pests. Juvik’s team wanted to determine which GSs and their products actually boost the enzyme levels when broccoli is treated. They tested five commercial types of broccoli by spraying them in the field with the hormone and found that, of the GS break-down products, sulforaphane is the major contributor toward enhanced cancer-fighting enzyme levels, although other substances also likely contribute, say the researchers. Environmental conditions played a role, too. They say that this information could be used to identify superior broccoli and to breed even more healthful broccoli plants.